This guide provides performance boosting tips, tricks, and ideas for how to run a silent auction. Explore key activities, including time-saving templates and spreadsheets, while progressing through the five silent auction steps. You'll be a fundraising hero! Before you dive into gathering items for your silent auction, it's essential to identify the purpose for the fundraiser. When done well, your purpose will be an inspirational story which makes a personal connection. It will pull at heartstrings and inspire people not only to donate but to spring into action through volunteering, participating, and evangelizing. Your job will be a lot easier because the purpose will spark the passion in others, causing them to take charge of any assigned tasks. On the surface, it might seem like your purpose is to raise money -- and that's true. But your real purpose runs deeper. You're looking to make a difference and you're asking people to come along to help support you and your vision. That's what needs to be communicated. Having a clear purpose which resonates with supporters will help you stand out and will inspire them to work hard and spread the word. Sometimes, crafting a purpose for your auction is as easy as taking the organization's mission statement and personalizing it. The purpose needs to have lasting value for your audience, something that's going to motivate them throughout this fundraiser and beyond. Raising money to add new technology to old classrooms is one thing, but "opening a whole new world of educational opportunities for our children" has more feeling in it. Buying search and rescue equipment for the town's fire department is specific, sure, but "outfitting our local firefighters with critical life-saving equipment for protecting the citizens of our community" is more inspirational. Once solidified, your purpose will be used throughout the fundraiser. It will be included in donation requests, used to engage supporters, and provide guidance when soliciting donations. As an example, a "stop the violence" fundraiser probably shouldn't solicit or include weapons in the silent auction. Starting with a well-crafted purpose will help the rest of your silent auction fall into place a little easier. Every silent auction has a predetermined amount of money which needs to be raised. Pretty obvious, right? While we'd all love to magically raise more money than is really needed, it's best to set the fundraising goal amount as the actual amount of money needed from this auction. To put yourself in the best position for reaching the fundraising goal, you'll want to identify the Total Fair Market Value required for your auction items. Similar to the MSRP on a price tag, the Fair Market Value (FMV) is what someone would likely pay for an item on the market at a specific point in time. To determine the Total FMV, simply add up the FMV of all items in your auction. Often, a well-run auction will have a Bids to FMV Ratio of around 65-75%. This means the highest bid on an item is usually around 70% of its FMV. If your fundraising goal is $10,000, and if you are expecting bids to capture about 70% of the FMV, this means you need to have items with a Total FMV of about $14,300. If you don't know how well your auction is going to run, we recommend starting with a Bids to FMV Ratio around 55%. Therefore, in order to raise $10,000, you need to include roughly $18,200 worth of auction items. As you are receiving auction item donations, keep a running Total FMV. That way you'll know when you have enough items to reach your fundraising goal amount and can say goodbye to guesswork and uncertainty! Not-So-Secret Shortcut: Don't have time (or desire) to calculate the Total FMV and Bids to FMV Ratio? Fear not! When creating items on 32auctions, simply enter the item FMV and we'll provide up-to-date calculations for both on the Insights page. Easy peasy lemon squeezy! What needs to be done, when is it due, and who will do it? There's a fair amount work to be done to prepare for your auction, but who's going to do it? Forming a silent auction committee will help answer this question. The committee will map out work that needs to be done, when it's due, and who will do it. To make it more efficient, we recommend forming focused sub-committees and engaging volunteers to assist with each one. From recruiting volunteers to engaging bidders, it's essential to have a team focused on getting the word out about your event. The number of volunteers needed really depends on the size of your auction. The committee will need to determine where volunteers are needed, recruit them, and coordinate their efforts. Having a team focused on managing auction items is effective and efficient. Tasks include soliciting items, uploading items into the online auction system, storing items, creating bid sheets, item distribution, and tracking progress along the way. A live event has a variety of tasks which need managing. Tasks include securing a venue and managing decorations, food, entertainment, setup, fundraising activities, and cleanup. Once the auction is finished, having a plan in place for collecting payments and distributing items will ensure a smooth ending for everyone. Each sub-committee should define tasks they need to complete, when they will be done, and who will do them. This will help identify dependencies between tasks and allow for tracking progress. It's also important to establish how information will be shared. All important communication should go through an agreed-upon channel, allowing everyone to stay in the loop. This way things will be less likely to slip through the cracks. As you dive into the planning process, expect new tasks to reveal themselves. By building some flexibility into the committee structure, along with a communication plan, you'll be well positioned to handle whatever arises. Who do you want participating in your silent auction? Before you can start marketing your silent auction, you have to define your target audience. The primary audience for your event are those people who care the most about your cause and who benefit the most by your cause. Identifying these people is often easy: it's the parents at your school, the members of your organization, the people of your community. But don't stop there! Secondary audiences are often just as important (or more!) to a successful auction. Online silent auctions can reach and accommodate a much larger audience than traditional in-person auctions. This allows you to include family, friends, neighbors, donors, and more. Encourage your primary audience to share your auction with their connections, including through social media. You never know who might show up virtually from states or countries away. Just keep in mind that some items are easier to deliver than others, and you might need to enlist the person who made the connection to help deliver the winnings to their final destination. How and where will people bid? There are many options for how to host a silent auction and collect bids from participants. Which option should you choose? To help, we've identified three main options, each of which has benefits to consider when deciding which is right for you. This option uses an online platform for managing the entire auction. The online platform does a lot of the hard work for you and provides many features that simplify auction management. When all bidding is online, participants aren't tied to a physical location, leading to increased participation, more bids, and higher selling prices. Your auction will be available at all hours, day and night, from any internet-connected device, allowing continuous participation. Participants can easily search and scan through items and create a Watchlist of items they're interested in. Keeping items top-of-mind encourages more bidding activity. Bidders appreciate instant notifications, including outbid notifications which make it so simple to bid again and take back the lead! When the auction ends, winning bidders are immediately notified with an automatically generated invoice which can be paid securely online. One thing an auction platform can't do is hand items over to winning bidders, but that's the fun part, right?! This hybrid option of a live event + online bidding includes all the benefits of online-only bidding and brings people together to mingle at an event. Online bidding at the event allows people who can't attend to support your organization, increasing participation. People can participate even when they have to show up late or leave early, and they can even continue bidding after the event has ended. Event attendees are freed up to socialize and enjoy themselves, resulting in happier participants. No more hovering over bid sheets or awkward in-person bidding wars! Attendees can spend more time on other fundraising activities like carnival games, raffles, and food and beverage purchases. Without the typical silent auction administrative work, volunteers will be able to spend time on other activities and will also likely find the event more enjoyable. An important aspect for this option is that the venue has adequate Wi-Fi and cell service, otherwise, it will be frustrating for everyone involved. It's also a good idea for event attendees to create a bidding account before arriving at the event. They can start bidding early and will be all set for a night of fun. This option starts the bidding online and then brings everyone together for in-person bidding at a grand finale of an event. After the online auction ends, you can print current bid sheets which display the leading online bid information, and then attendees can continue the bidding in person, writing their bids on the sheets for that traditional silent auction feel. Once the silent auction has ended, auction administrators can enter final bid information into the online auction, creating invoices and sending winning bidder notifications. Starting your auction online helps increase interest in the live event, especially if you showcase items which are only available at the event. Also, online bidders who cannot attend the event can increase their chances of winning by submitting a proxy bid, allowing auction administrators to continue bidding on their behalf. This is a great option if the venue doesn't have adequate Wi-Fi and cell service or event attendees don't have internet-connected devices. When will bidding be available? We've helped countless organizations run silent auctions over the years and have identified the ideal auction duration is between 7 and 10 days. This is long enough to give everyone an opportunity to submit bids and hopefully encourage some competition, but not so long that participants lose interest. When determining the bidding dates, consider your target audience and what else they might have going on in their lives. It's best to avoid dates which overlap with conflicting events like local festivals, national or religious holidays, major sporting events, or popular school activities. Everyone's attention will be elsewhere, and your auction will suffer for it. At the same time, consider events or holidays that might enhance participation in your auction. If there's a gifting holiday approaching, like Mother's Day or Valentine's Day, plan on ending your auction early enough so winning bidders can receive their potential gifts in time for the holiday. Knowing what holidays are coming up will even help you solicit items with an eye toward what might be popular gifts. What time will bidding begin and end? Choosing times for bidding to start and end can be tricky. At the start, you want to capitalize on the excitement your auction has generated and get participants to start bidding. At the end, you want to cultivate the bidding wars which occur in the final hours. Putting some thought into selecting the proper start and end times will maximize the number of participants and bids. Of the start and end time, the end time is by far the most important. Participants feel the pressure as the countdown is on and they realize it's their final chance to secure items they want. However, this can only happen if they're available and can focus on bidding during the end of the auction. Consider the daily activities of your target audience and choose an appropriate time to maximize their attention. Also, think twice before choosing midnight as the end time. It's likely that few participants will be awake and entering bids at that time. Employees LOVE being allowed to bid during working hours, so consider their work schedules when choosing auction times. It's best to avoid the start and end of the workday, the lunch hour, and especially commuting times. We've seen afternoon hours, between lunch and quitting time (around 3pm), as an effective end time for a company-sponsored event. If your participants are parents of young children, take extra care to cater to their schedules. Try setting an end time when parents are not busy with after school activities, dinnertime, or bedtime routines. We've seen later evening hours (around 8-9pm) are effective when their children are in bed but the parents haven't made it there yet. When ending an auction during a live event, consider ending it before the event concludes. This provides volunteers time to prep items for checkout, ensuring a smooth process. It also allows winning bidders to be distracted by other engaging activities like socializing, watching performances, or maybe even making other purchases. Who knows? These final minutes might even push your event over the fundraising goal. The purpose of a marketing plan is to identify the best times and channels for reaching your target audience. Don't worry about the details of each message just yet. Instead, focus on creating a high-level plan which identifies the different marketing messages, including the audience, purpose, and timing for each. This plan should guide all marketing efforts to ensure they cover all the bases and share the right message at the right time. Most likely you're going to need volunteers to assist with everything from planning to closing out the auction. This is the audience you'll be reaching out to for donations of money, items, and services. This is the audience you want participating in the silent auction and bidding on items. These are people who care deeply about your cause and are willing to help get the word out. Sites like Facebook, Twitter, LinkedIn, Pinterest, and Instagram are fantastic communication tools. Your audiences can easily help spread the word by sharing, liking, and interacting with your posts. Make sure to use hashtags and other effective social strategies for reaching your desired audience. There are many options for sending emails including MailChimp, ConstantContact, and even your own email accounts. Organizations typically have an email list for their marketing campaigns. People on this list have already expressed interest in the organization; take advantage of it! A more traditional channel, however, it can be very effective if you can leverage an existing newsletter or publication. You could also consider putting up fliers or contacting local publications which may run a story about your event. Plan on posting the event on the organization website. Also consider other sites to post information about your event, like local event calendars. Contact the local stations to find out how to submit your event to their calendars. You could even offer to be interviewed on-air about the event. There are many paid options for getting your message out if you have the budget for it. One resource to consider is Google Ad Grants which helps qualified non-profit organizations promote their causes through online ads. Also, most social media sites allow paying to boost a post so it reaches a larger audience. When paying for ads or boosted content, consider your audience first to ensure you're spending money on the appropriate channels. Create a timeline which identifies the ideal dates and times for publishing your marketing messages. An effective approach is to start with the silent auction launch date announcement. Once that's in place, work backwards by filling in a calendar with the remaining marketing messages. This approach will help identify when your marketing campaign should begin, which is probably right… about… now! What mindset will you choose when soliciting donations? It's common to feel like you're burdening businesses and asking for handouts when soliciting donations. It can be a yucky feeling and is commonly the single reason why people avoid volunteering to help with silent auctions altogether. This is understandable, especially when viewed in this light, but we're here to tell you this isn't how many businesses view it. When you really think about it, you're offering an awesome business opportunity which can benefit them. Many businesses already understand this and will readily welcome the chance to donate to your fundraiser. The most commonly cited opportunity is that a business may be able to deduct the donation amount from their taxes. This can be a public relations opportunity for the business to piggyback off the reputation of your cause and purpose. You're showcasing the business and their product to a group of people they might want to to reach. This is superior to, and possibly cheaper than, most of the advertising and marketing tools available to them. Participants will be "sampling" one or more of the business's products. This is similar to food sampling stations at grocery stores and works well for products which are new or not selling well due to low exposure. When the purposes of the business and fundraiser align, this presents a unique opportunity for the business to demonstrate their commitment and support for a cause. For example, an educational toy store may donate to a preschool silent auction because of their love for advancing young minds. So now you see that donating to your cause can be much more than a simple tax deduction for a business. Therefore, when communicating with the decision makers, make sure they understand the purpose of your fundraiser and the audience they'll be able to reach. You'll be surprised how effective this mindset is when asking for items. Also, don't feel bad about the dreaded "no" response. Some businesses pick a charity or cause to support in a given year and your fundraiser may not be a fit. Some businesses set a budgeted amount for charitable giving and it could be exhausted by the time you arrive, and still others have rules or restrictions which simply prevent them from donating. None of these should be taken personally. Approaching donation solicitation with a win/win mindset makes it easier to approach businesses and sets you up for a successful interaction. Now you're prepared to get out there and offer up this phenomenal business opportunity. What are the best items for reaching your fundraising goal? Gathering items is one thing, gathering the correct items is quite another. To reach your fundraising goal, it's important to identify the types of items you want in your auction. Make sure to think about your target audience and what will get them to bid top dollar. For location-based items, you want to make sure your audience already travels to that location. Participants will ask themselves if it's worth the effort getting to the location before they even consider submitting a bid. Participants are more likely to bid on items which match their interests and involvements. For example, it's common for gift certificates to popular restaurants and stores to sell for face value or higher. Participants rationalize that they're going to shop their anyway, so why not give the money to the auction. Look for people willing to donate their time and talents. Parents appreciate a night out and children enjoy playing with a babysitter they love or admire. Children love spending time with their favorite teachers. A playdate could be a trip to the ice cream shop, a park, or the zoo. Offer participants a chance at one-on-one time with a respected member of the community. It could be a radio or TV personality, politician, or sports figure. Know any handy people? Perhaps they would donate a few hours of their time to assist with lawn maintenance or house projects. Experiences are always a winner and are typically one of a kind. Children love the feeling of being in charge, and what better thing to be in charge of than their school? Finding a willing person to take a pie in the face will be fun for everyone, especially if the donor is someone adored (or someone's nemesis!). If you have a local TV studio, ask if they'll offer a private behind-the-scenes tour. Maybe they'll even include a guest appearance on the local news! This also provides a wonderful photo opportunity. All in good fun, of course. Track items as they are received, including the Fair Market Value (FMV) of each item and in total. Using the calculation explained in 1. Plan / Fundraising Goal, you'll know when you've received enough items to feel confident in reaching your goal. We compiled data from thousands of successful silent auctions hosted online with us over the years and here are the top 10 item categories based on the highest received Bids to FMV Ratio: 1) Dining, 2) Musical Instruments, 3) Electronics, 4) Tickets, 5) Crafts, 6) Gift Baskets, 7) Memorabilia, 8) Music, 9) Gift Certificates, and 10) Entertainment. Hopefully these ideas help with identifying the best types of items you should solicit for your silent auction. When should you start soliciting items? Soliciting items can take a fair amount of time and businesses may have long decision-making processes, so we recommend starting 3 to 4 months before the auction starts. Even though most items can be secured with 1 to 2 months lead time, starting sooner will allow you to finish item solicitation early while increasing your odds of success and decreasing your overall stress level. It's common for businesses to have a donation request review process. Some reviews are quick while others can take weeks or months to complete. Submitting requests early provides time to adjust when any requests are turned down. Also, businesses may set a budget for donations at the beginning of the year and approve requests until the budget runs out. Getting your request in early can increase the chance of getting approved, and the sooner you have enough items, the sooner you can feel confident about reaching your fundraising goal. How are you going to get silent auction items? To simplify the process of soliciting silent auction items, we recommend breaking the effort down by solicitation method: Networking, Online, In-Person, and Snail Mail. Before you officially kick off your solicitation effort, take some time to create a standard donation request letter that you and your members can use. This should include basic information about your organization such as its purpose and location, as well as information about the event, including the date and time, and who or what is directly benefiting from the funds you are raising. If you have analytics from a previous year of holding the same event, include them! Knowing how many people might see their item and bid on it can go a long way in helping a company determine whether this is a good effort to support with their donation and reputation. Make sure it's printed on official letterhead and that your solicitors head out well-equipped to speak on the spot about the organization and fundraiser. Ask your members, your family, and your friends for referrals. Does their employer have a charitable arm that might be interesting in donating an item to your cause? Do they themselves run a small business that could provide an item or service package? If they don't want to do the asking themselves, you can request that they send you leads or referrals, or even make the connection for you to then do the talking yourself. The next easiest way to solicit items is through submitting online donation request forms. Here, you get to let your fingers do the walking, which can save you valuable time and money. You can even do it when it's most convenient for you. It's easy to research and submit online forms, but beware of deadlines and start early. Identify businesses that have a long approval process and tackle those submissions first to giving yourself the best shot at receiving an item from them. Walking door-to-door asking for donations is a very effective technique. In most instances, you'll need to provide a donation request letter. Don't expect to receive a donation on the spot, but it does happen on occasion. To save time, it's best to focus on an area of the city when using this method, and make sure to get a business card so you can follow up on your request. As a last resort or if an organization requires it, you can mail out donation request letters, but we don't recommend it as a starting point. It can be an significant cost of time and money and there's less opportunity to make a meaningful impression or follow up later if there wasn't a firm answer after the first contact. This leads to our final tip: follow up on all donation requests. It doesn't hurt to check that your form was received, that your email didn't land in the spam folder, or if your request is stuck in an approval chain. Don't be a nuisance, of course, but don't be afraid to water those seeds you and your network have planted. What donation information should you track and how should you track it? Managing item solicitation can be tricky, especially when multiple people are involved. 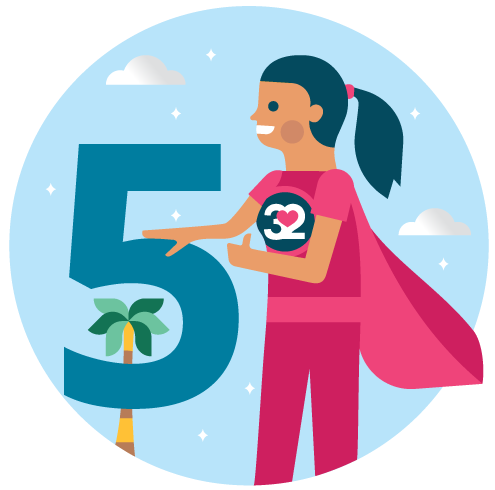 Clear, consistent, and complete communication between volunteers is essential and requires a well-defined system for tracking the entire solicitation process. Once it's in place, it will be easy to keep up-to-date and simplifies the coordination effort. Track the donors you're soliciting, including their address, phone number, and website. Also, group donors into geographical regions for volunteer assignments. Capture contact information for all decision makers, including the best time to communicate with them and their preferred contact method. Assign a volunteer to each donor. This person should be the single point of contact for all communications. Track each communication with the donor, including who, what, and when. It's also important to flag any needed follow-up communications along with dates and times. When a donation is received, document what it is, quantity, fair market value, and where it's located. This is also a good time to write-up the item information, including the item title, subtitle, and description. Google provides a robust cloud-based spreadsheet application. Only one person needs a Google account to create the spreadsheet and then they can secure and share it with the committee. 32auctions provides a Premium Donor & Sponsor Management feature for tracking donations and donor interactions. Tracking donations on the auction site centralizes the information so you only have to enter the data once. Set up your tracking system early and encourage all volunteers to update it. Keeping detailed notes during the item solicitation process will not only make things easier for this auction, it will also serve as a fantastic starting point for the next one. Your future self will thank you! What is an effective strategy for coordinating item solicitation? Running around town soliciting items is a time-consuming task and is well suited for multiple volunteers. To make door-to-door solicitation easier, divide the town into regions and assign a volunteer to each region. Each volunteer will be responsible for canvassing their region and soliciting donations from businesses. The donation solicitation tracking spreadsheet is very useful during this process. Not only can it assist with identifying regions and volunteer assignments, it can also be used for monitoring progress. Each volunteer will need access to the spreadsheet for tracking purposes and should log all activity, including interactions and items received. Making updates on the fly will keep everyone up-to-date and help your committee be as efficient as possible. What do you need when creating an online auction? Posting your well-crafted story in the online auction will get participants excited about helping you reach your fundraising goal. Make sure to provide information about the cause, the auction, and how the funds will be used so participants spring into action. They'll be inspired to bid early and often, help spread the word far and wide, and maybe even offer additional auction items. When your auction's purpose sparks passion in others, they'll be motivated to help drive your auction to success. Displaying a goal meter is an easy way to motivate participants into helping reach the fundraising goal. Seeing the goal meter climb is a fun, visual incentive to bid frequently, bid higher amounts, and possibly even make a monetary donation. Let participants know about your live event. Details like the date, time, location, and exciting activities will encourage attendance. Helpful tips like attire expectations and parking options will also be appreciated. You can even showcase a few Live Event Only items to really entice a higher attendance rate. Participants want to know how they can pay for and receive items even before they begin bidding. Be as specific as possible with things like when and where items can be picked up, payment options, and time limits. It might make it easier for that particular participant to bid a small fortune in your auction if they know they can use their Elite Golden Deluxe credit card to do it. Specialty features can provide a better auction experience, ultimately leading to increased bidding activity and higher bid amounts. Consider features like styling your auction to match your brand, uploading larger images to improve item viewing, and removing advertisements so participants aren't distracted. Highlighting sponsors and sponsorship levels is an effective way to receive donations with minimal effort. Donors will also love seeing their name, logo, and a link to their website on the items they provided. This is an effective way to strengthen their bond with your fundraiser for years to come. Be sure to invite others who can help administer the auction. Volunteers can help set up the auction, add items, answer questions, and assist with closing activities when the auction ends. What are effective techniques for adding items? It's tempting to stack all items in a corner as they're received and plan on a marathon item uploading session, possibly as a "fun" party with volunteer assistance; Don't! While procrastinating and partying sound like good ideas now, it routinely turns into a nightmare. It's challenging being consistent when creating many items at the same time and can quickly feel like tiresome work. Instead of putting it off for another day, add items as soon as they're received. Entering one item at a time will add up faster than you realize, and not having a pile of items to tackle all at once will seem far less daunting. You'll also avoid being faced with a mountain of items left to enter minutes before the auction is about to go live! Adjustments can be made early when working with fewer items, resulting in more consistency with images, wording, pricing, and more. One more benefit, if you enter a Fair Market Value (FMV) for each item, you'll know when you've received enough items to feel confident in reaching your fundraising goal. This is further explained in 1. Plan / Fundraising Goal. What should you do with lower value items which don't fit in with the rest of the auction? These are great candidates for grouping, possibly into themed baskets, creating more desirable, higher value items. For example, participants may not be overly interested in a DVD movie, but package it along with microwave popcorn, a box of candy, and a restaurant gift card and you have yourself a "Dinner & A Movie" themed basket. Ahh… doesn't that sound fun right about now? When people initially view your auction, they typically scan through the items to see what's available. Having a short, descriptive, and catchy title which aligns nicely with the item image makes it easy for them to decide if it's something they might want. They'll immediately dig in to learn more or add it to their Watchlist for viewing later. The easier you make this process for participants, the more activity you'll receive in your auction. You'll know you have a good item title when you can quickly understand what the item is just by reading it. A common mistake is not including important details in the item description, causing participants to question what they'd get if they won the item. When this happens, many participants find it easier to walk away without bidding than to ask a simple question. Yikes! To avoid this situation, make sure to include all relevant information for each item. For example, it's important to provide restrictions and expiration dates for gift certificates, valid dates and times for events, and seat locations for performances. Are there any special instructions for redeeming an item? Share them! You'll know you have a good description when you'd feel comfortable bidding on the item and have no unanswered questions. You want to encourage participants to bid. Once they enter a single bid it's much easier for them to continue bidding. Starting too too low may require many bids per item to reach a desirable final selling price. Starting too high may discourage participants from bidding. Same as with the Starting Bid Amount, you want to encourage subsequent bids on an item. An optimal minimum bid increment is vital for starting and sustaining bidding wars. A low increment requires many bids per item to reach a desirable final selling price. It also causes bidders to feel like they're nickel-and-diming when in a bidding war, causing them to drop out earlier than preferred. A high increment may discourage subsequent bids, especially when the current selling price approaches the item's FMV. Consider lowering the minimum bid increment when the current selling price approaches the item's FMV. For example, a $100 item with a current selling price of $92 may receive another bid with an increment of $5 versus $10. Not-So-Secret Shortcut: Don't have time to come up with your own formula? Fear not! When creating items on 32auctions simply enter the item FMV and we'll calculate the Starting Bid Amount and Minimum Bid Increments for you. Voila! What should you consider for item images? When people initially view your auction, they typically scan through the items to see what's available. Having a high-quality image which aligns nicely with the item title makes it easy for them to decide if it's something they might want. They'll immediately dig in to learn more or add it to their Watchlist for viewing later. The easier you make this process for participants, the more activity you'll receive in your auction. You'll know you have a good image when you can quickly understand what the item is just by seeing it. Items like art, jewelry, gift baskets, and higher priced items benefit from having multiple larger images. Choosing larger images with clear views from different angles provides visual detail to participants. Combined with a detailed item description, these images should make any bidder confident in what they're bidding on. While it's easy to take pictures with a cell phone and upload them, this may not be the best strategy. Newer cell phones have pretty good cameras and image editing capabilities, however, it is hard to beat professional gear and experience. When possible, find a photography professional or hobbyist who's willing to volunteer to take pictures of your items. How can you foster a long-lasting relationship with donors and sponsors? When viewing a photo, who do you initially look for? Yourself, right?! Well, donors are going to do the same thing when viewing your auction. They want to see the items they donated and some form of recognition for their contributions. Make them look sharp by including their name, logo, and a link to their website, along with beautiful item images and descriptions. Donors may even share your auction (and their item donations) with their followers, fans, and customers, giving your auction greater reach than you ever imagined. Make sure it's easy for them to do! Sponsors will also be looking for how they're presented within your auction. They will appreciate seeing their logo displayed prominently to auction participants along with a link to their website. Also consider identifying different sponsorship levels arranged by sponsorship amount. When it's ready, share the auction link with all sponsors so they can see how you're acknowledging their generous contributions. Sponsors will also be able to use the link to participate in the auction and even share the link with their customers, helping you spread the word about your auction. Win-win! Consider displaying visual thank-yous with sponsor logos at your in-person event. You could use printed banners, flyers, placards, and/or a video projection. Also, make an announcement specifically thanking your sponsors and mentioning them by name. Your sponsors will appreciate the additional exposure and will consider contributing again in the future. Use their services, shop at their location, refer customers to them, or simply stop in and say hello. Also, ask your audience to do the same. Showing a sincere interest in the success of their business will go a long way in building a long-lasting relationship. What options will you offer for delivering items? Participants want to know what options are available for receiving their items before they start bidding. Provide details like locations, costs, methods, and restrictions so they'll know the total cost of winning an item and when they can expect to receive it. Also, when offering in-person pickup, provide pickup dates, times, and locations so winning bidders can plan ahead. It's common for participants to win multiple items which they need shipped. Combining these items into a single package can reduce the total shipping cost. Consider passing the savings along by offering a combined shipping discount for items which are good candidates for combining. Your shipping provider can assist with determining what a fair discount is and which items are good candidates for a discount. Smaller items like gift certificates and event tickets will likely fit into a standard envelope and can be mailed to winning bidders for the cost of a stamp. Even local winners may appreciate the convenience of having these items mailed to them. How can you effectively use display sheets? It's common to set up items at an event so participants can view and bid on them. Larger items tend to take up valuable table space and can be a pain to transport and display. Small and valuable items, like event tickets and gift cards, can be difficult to display and may be safer stored elsewhere. Pairing display sheets with bid sheets for these items will help save space at the event and make sure valuables are secure, yet still provide the information people need to make a bidding decision. No more late night hassles lugging items which weren't picked up with you from the venue... phew! Display sheets are awesome when paired with online bidding at an in-person event. The sheets include a QR Code which bidders can scan using a smartphone to quickly view the item and place a bid. It's a fast, effective, and fun way to participate in an auction, especially with the immediate outbid notifications. Consider using display sheets to create an item catalog or brochure which can be distributed electronically or printed and placed on tables for browsing. This provides another option for showcasing special items and allows guests to browse the complete offering without crowding around the items or using an electronic device. This is also a friendly way to include guests who may be less mobile, allowing them to scan QR codes right at their table. Do you have a unique item with an awesome value-adding backstory? It's difficult to convey the story by simply setting the item out for viewing. A display sheet will allow you to provide these details and inspire story-driven bidding. This is especially beneficial for things like antiques, where a display sheet allows you to provide the item's rich history. The details that make it a one-of-a-kind item are sure to inspire more bids and a higher selling price. To save space and paper, consider printing two display sheets on each sheet of paper (called printing 2-Up). Everything is resized to fit nicely in the smaller space. What should you consider when creating bid sheets? Providing key details about the item will make it easier for participants to decide to bid. Include the item name, images, donor names and logos, fair market value, starting bid amount, and bid increment. Item descriptions are important, however, longer descriptions take up precious space and leave less room for the bidding grid. Consider pairing the bid sheet with a display sheet (see 3. Assemble / Display Sheets) to provide more information about the item. All the action takes place on the bidding grid. Participants need to be able to write down their bid amount and identifying information quickly. To ensure it's easy for participants to bid, make sure you're only capturing information auction administrators need for the checkout process. The easier it is to bid, the more bids you'll likely receive! You might be tempted to pre-fill bid amounts on the bid sheets so participants don't have to write them down. However, we've found that requiring writing down a bid amount encourages generous bidders to enter a higher amount, creating more competition right out of the gate. Pre-filling bid amounts discourages these spontaneous high bids, and you certainly don't want to do that! This also allows for using each bidding line regardless of the bid amount, reducing the potential of needing extra bid sheets. For these reasons, we recommend leaving the bid amount column blank. Also consider including a Buy Now option for some items. This is great for participants who aren't willing to risk losing an item to another bidder. What techniques will help reach your fundraising goal? 62% To Goal -- Only 38% to go! Sometimes the starting bid amount for an item is just a little off, preventing participants from bidding. With an online auction, the starting bid amount can easily be changed, enticing participants to bid. Be careful when using this technique on bid sheets. Crossing out and changing the starting bid amount can make an item appear to be less desirable. When the current selling price gets close to the FMV, bidding stalls, especially if the next minimum bid is at or above the FMV. Some participants are looking for a good deal and to them, the item is starting to reach the upper limit of a good deal. When this happens, consider lowering the minimum bid increment. A lower increment can encourage participants to submit another bid which is below the FMV, yet still in their good deal range. The result is more money raised and a good deal for them. Win-Win! As the auction is getting close to ending and there are buy now only items which haven't sold yet, consider lowering the buy now price. Participants may be more likely to purchase the item when they see the price reduced. When any changes are made to the auction or items, share it! See 4. Host / Marketing for some good tips on successful marketing techniques. How can you keep participants engaged and actively bidding? Leverage the marketing channels identified in the 1. Plan / Marketing Plan activity for reaching your participants. This is an effective way to keep them engaged with the auction and actively bidding. Bonus: if social media is one of your go-to channels, 32auctions provides easy-to-use links for posting directly to some of the most popular platforms. Announce your upcoming auction to raise awareness. Sharing the dates, times, and purpose, and maybe even previewing some items, will build anticipation. Once the online auction is created and ready to share, include links to it in all marketing messages. This allows participants to preview the items and builds excitement about bidding. Share links with donors to the specific items they donated. Also consider including an open invitation to participate in the auction. In turn, they may share your auction with their customers, followers, and fans. Share general updates on how the auction is progressing, including the percent to goal. Highlight items which are new, have no bids, or are one-of-a-kind as explained in 4. Host / 1 Bid Per Item. Call out featured items, especially after changing which items are featured as explained in 4. Host / Feature Items. This is a great time to amp up the marketing messages and really pull participants in. Don't be shy! You don't want them missing out on the items they want. Include the progress toward the fundraising goal with each message and remind your audience why you're fundraising. When using an online silent auction site, make sure you're working with any messaging it's already providing. For example, 32auctions automatically notifies all participants when there are 24-hours remaining and encourages them to get their final bids in. Everyone will love to hear your perspective on how the auction performed. Consider sharing the amount you raised, the goal, and what can be accomplished with the new funds. Publicly thank your donors and sponsors and include links to their websites when possible. Announce item pickup times and locations. One way to keep interest in the auction is to highlight one or more items when sending out a marketing message. Pick items which have no bids, were newly added, or are one-of-a-kind attention grabbers. Curious participants will be drawn in to see the items and hopefully other items will also catch their eye. Then you'll have them hooked! Utilize auction analytics as a source of interesting information to add to your posts. An online auction platform like 32auctions captures a number of share-friendly data points, including pageviews, bid counts, Bids to Fair Market Value ratio, amount raised vs fundraising goal, and more! How can you effectively use featured items? Featuring items during every stage of your auction helps increase participation, keeps the auction looking fresh, and drives bidding activity. When selecting items to feature, consider the stage the auction is in and which items will achieve the desired outcome for that stage. The goal is to build excitement and get people to join the auction and spread the word. Featuring one-of-a-kind attention grabbers and highly desirable items with a "wow!" factor will get participants excited for the auction to start. Use featured items to drive bidding activity and avoid the mid-auction slow down. Selecting items which are new, have no bids, or are one-of-a-kind will give bidding a boost. Rotating items regularly, especially during the final hours, will help get at least 1 bid per item as explained in the 4. Host / 1 Bid Per Item activity. Also, if bidding is transitioning to a live event, consider featuring exclusive live event only items to increase interest in attendance. When the auction is over, participants are curious about the final outcome. Feature big ticket items and items which had a lot of bidding activity so everyone can see the final results. Bonus: 32auctions makes it super easy to feature up to 10 items at any time. Featured items are displayed prominently on the main auction page and sorted to the top of the item list page. What should be considered in regards to participant registration? When participants register for the auction, they provide valuable information not only for the current auction, but also for future fundraising efforts. Think: Contact List! Also, auction participants will enjoy benefits from registering with the auction, making their experience all the better. Whether participants register themselves or your team enters their information, having accurate information helps the auction run smoothly and creates a nice contact list for your next event. When using an online platform like 32auctions for managing your silent auction, encourage participants to self-register. Simply provide participants a link to the auction and let them take care of the rest. Participants will register using their preferred contact information, ensuring auction administrators have accurate information. Once registered, online participants will enjoy features like bid and auction notifications, Watchlist notifications, and bid tracking. Having accurate information also means auction administrators can contact participants when necessary. Best of all, self-registration saves auction administrators precious time. Depending on the silent auction structure, there may be participants who don't participate in the online auction and aren't interested in self-registering. These offline participants will also need to be registered with the auction, especially if they win items. Collecting the proper information for offline participants is important, especially when it comes time to enter winning bids into the system. Auction administrators can enter an offline participant's information into the auction if they won items, providing a single location to track all bids and winning bidders. Providing an email address for an offline participant allows them to receive a winning bidder notification, including access to their invoice for easily viewing the items they won and submitting payment online. When the auction is over, all participant information will be available in a single location online, providing an awesome contact list for your next auction! What are effective techniques for setting up a live event? Print out instructions for how to participate in the silent auction and place them on the tables. When using online bidding at your event, include instructions for joining the online auction and consider including a QR Code for easy scanning with a smartphone. A catalog of items can be placed at each table for people to browse through instead of going to the display tables. Check out 3. Assemble / Display Sheets for more information on creating an effective catalog of your items. Bonus: 32auctions provides item display sheets which can be used to create a catalog easily. Attendees want to know the list of events and when they are happening. Placing a schedule on the tables will keep attendees informed and hopefully keep them actively engaged through the entire event. With online bidding, projecting bidding activity will keep participants active and may even get them to bid just to see their name up on the big screen. Bonus: 32auctions provides a BidFeed activity board with real-time updates as bidding occurs. Projecting a slideshow of specific items will bring those highly desirable items to the forefront. Also, prominently displaying items will keep the bids coming. Some items are difficult to display or are safer kept elsewhere. Using display sheets for these items provides the necessary information and allows for easy bidding as explained in 3. Assemble / Display Sheets. Bid sheets which are easy to use and clearly display item information result in more bids and higher bid amounts. Have a look at 3. Assemble / Bid Sheets for some good tips on creating well-designed bid sheets. Bonus: 32auctions provides a feature for customizing and downloading a PDF of printable bid sheets for your items. You can setup and display fewer items if your auction is completely online and bidding ends after the event, as explained in 1. Plan / Silent Auction Structure. This allows for selecting some of the more desirable items to display and use display sheets for the rest. No need to lug all the items to and from the venue! Reduce the amount of time winning bidders wait in line by recruiting multiple auction administrators to enter the final bid sheet bids. Participants can continue socializing and participating in other activities while winning bids are entered. Offering online payment collection makes it easy for winning bidders to pay their invoice, even before picking up their items! Auction administrators simply verify payment and deliver the items, resulting in a quick checkout process appreciated by all involved. Bonus: 32auctions provides multiple online payment collection options, making payments a breeze. With an online auction, the checkout line can be avoided completely by ending the auction sometime after the event. Winning bidders can pay for and pick up their items on a later date instead of having to wait in line at the end of the event. See the 1. Plan / Silent Auction Structure activity for more details. Finally, don't forget to thank your donors and sponsors at the event! Check out 3. Assemble / Donors & Sponsors for ideas on how to properly thank them. What notifications should be sent after the auction ends? Participants want to know the outcome of their bidding efforts. Sending timely notifications with appropriate information keeps them informed of the auction outcome. There are multiple notifications to consider for the end of your auction and they vary based on the auction structure. Winning bidders want to know they won items as soon as the auction ends. Send them a thank you note and include the number of items they won and the amount they owe. Also, include the pickup/shipping instructions from 3. Assemble / Create Auction which explain how to pay for and pick up items. Bonus: 32auctions automatically identifies winning bidders, creates invoices, and sends winning bidder notifications when the online auction ends. Each notification contains the pickup/shipping instructions and an invoice link. Unfortunately, not everyone will win an item in the auction. Sending a thank you note to those who didn't win is a nice touch. Consider including a friendly request for a donation if they're interested in contributing to the cause. Bonus: 32auctions automatically sends consolation notifications with an optional donation request. We all get forgetful at times and sometimes need a gentle nudge to get back on track. Send a friendly payment reminder to those who haven't paid along with a link to their invoice and a due date. Bonus: With the click of a button, 32auctions will send a friendly payment reminder to anyone with an unpaid invoice. When the online auction transitions to an in-person event, send participants a message encouraging them to attend the event to continue bidding. The message should include important event information like the location, times, and activities. Also make sure it's clear to leading online bidders that bidding continues at the event and they should attend to increase their odds of winning. Bonus: 32auctions automatically sends notifications to all online participants when the auction transitions from online to offline. The notification includes the event information and special messaging for leading online bidders. Send winning bidders a message thanking them for participating and include details about their items, the amount they owe, and how they can pay for and pick up their items. Bonus: 32auctions automatically notifies winning bidders as final bids are entered into the auction. Online participants are interested in the outcome of the auction, especially those who are leading online and unable to attend the event. Notify leading online bidders who are outbid at the event so they aren't left in the dark. Bonus: 32auctions sends outbid notifications as final bids are entered into the auction. Accepting cash and check payments is common, especially for auctions which end during a live event. This requires that an auction administrator interact directly with winning bidders to process and track each payment. When there are multiple auction administrators processing payments, plan ahead for how payments will be tracked and the money will be secured. Winning bidders can quickly and securely submit payment without requiring auction administrator involvement. Online payments are automatically tracked as they are processed. This speeds up both the payment processing and tracking processes, and allows auction administrators to focus on item delivery. Also, research indicates people spend 12-18% more when using credit cards than when using cash. This increase more than pays for any transaction fees, allows winning bidders the convenience of using their preferred method of payment, and simplifies the process of managing your auction. Bonus: 32auctions makes online payment collection simple using industry leading payment processors. Offer a variety of payment options by allowing both in-person and online payments. This makes it easy for winning bidders to pay using their preferred method, ensuring happy participants and successful payments. What are effective techniques for distributing items? You're almost done! Payments are in and now it's time to get items into the hands of winning bidders. There are a number of things you can do to ensure item distribution goes smoothly. Prior to distribution, group items together for each winning bidder and include an invoice which lists each item, the winning bid amounts, and total amount due. This streamlines the entire checkout process, especially for pre-paid invoices. Winning bidders will be excited to pick up their items...Yay! Be sure to have volunteers on hand for the pickup times and locations published in 3. Assemble / Create Auction. When a winning bidder arrives, volunteers should be prepared to quickly locate their items and verify or accept payment before handing over the items. At an in-person event, it's common for winning bidders to pick up their items when the event ends. See the Streamlined Checkout section in 4. Host / Live Event Setup for more tips on in-person event checkout. The 3. Assemble / Shipping activity explains the various shipping options and how to collect shipping costs. Winning bidders need to select a shipping option and provide their shipping address. When items are shipped, send tracking information to recipients so they can track their shipment. Keep track of which items have been picked up or shipped. This is particularly helpful for knowing which items still need to be distributed, especially when coordinating with other volunteers. Consider tracking progress in the same location used in 2. Gather / Tracking. Leverage an online platform like 32auctions where you'll find easy-to-use features for streamlining item distribution. Which auction metrics are important and why? Reaching your fundraising goal is a very important metric, however, there are other auction metrics which you can leverage for more in-depth analysis. The insight gained from your analysis will be helpful when going through the Planning, Gathering, Assembling, and Hosting steps of your next auction. These metrics indicate the level of participation in the auction. The higher these numbers, the more money you'll likely raise. When these numbers are low, evaluate anything that would impact participation, including marketing, dates/times, auction structure, and the item information provided. These are indicators of how the auction performed financially. When these numbers are low, analyze the metrics of under-performing items to find anything which may have prevented higher bids. These are items which received no bids, or not enough bids, to reach the desired Bid to FMV ratio. The starting bid amount, minimum bid increment, and buy now price have a big impact on the number of bids placed on an item. Too high and participants may not bid. Too low and there may be a large number of bids yet the final selling price is still well below the target ratio. The item may not be a good fit for your participants as explained in 2. Gather / Types Of Items. Review the item and images to determine if enough information was provided for participants to quickly make a confident bidding decision. See 3. Assemble / Add Items for ideas on what item information should be provided. Put a gold star next to this item! This is a must have for your next auction. Review the bid settings and level of detail provided for the item and compare it to other items which didn't perform as well. Also, make a note to solicit similar types of items which may perform just as well. Bonus: 32auctions provides all of these metrics and an optional download of the auction item data for easily analyzing the performance of your auction. Be sure to write down your findings and include them in your succession plans. These metrics can be compared against future auction metrics to measure improvement. The next auction will benefit by building upon the knowledge gained here as explained in 5. Close! / Succession Plan. How can you show gratitude to your supporters? When thanking donors and sponsors, share the auction results and include a personal message about the positive impact their contribution will have. Donors will be interested in learning the final selling price of their item and the amount of bidding activity it received. Donors and sponsors will both appreciate hearing about the exposure they received from your event. Your sincere gratitude will be appreciated and may even be shared as your donors and sponsors proudly announce how they helped your cause. Thank all participants for their contribution even if they didn't win. Include the final auction results in the message and add a personal touch by listing any items they may have won. This is also a great time to share other opportunities for further helping your cause. Invite them to sign up for your newsletter and follow you on social media so that they are the first to know about future events. Share the final results so the community learns how your cause benefited from this event. Post the results on social media, websites, and send it in your next newsletter. Spice it up by including a few interesting auction analytics. Give another shout out to your donors and sponsors while you're at it; they will appreciate the extra exposure. Also, sharing the results with your community will generate a buzz and get people excited to participate in your next event. How can you ensure future success with less effort? A little effort now will pay big dividends in the future. Take the time to put together a succession plan to serve as a launching pad for the next auction, whether you're organizing it again or handing it off to someone new. A succession plan not only makes the next auction easier to plan and coordinate, it also positions the auction to be more successful. Which items performed well and which underperformed? Use the analysis from the 5. Close! / Analytics activity to identify items and donors to include in the next auction and, equally important, which to avoid. Which marketing efforts were effective and which were duds? Identify the most effective channels and messages so they can be replicated next time. How did the location for the in-person event work out? Document recommendations for the silent auction committee to consider when planning the next in-person event. How well did the end date and time work for your participants? Identify any adjustments for improving bidding activity at the end of the auction. Did you have an effective committee structure with adequate volunteer support? Identify improvement ideas for making the whole process run more smoothly next time. The tracking system described in 2. Gather / Tracking will be majorly beneficial when soliciting items for the next auction. Make sure it includes helpful information like which donors and sponsors you should approach, the information required when making a request, who to contact, and any additional tips for being successful. Gather feedback from auction participants, volunteers, and committee members. Honest feedback is effective at identifying improvement areas you may not be aware of. Assess the feedback and incorporate suggestions into your succession plan. Document account information for all online platforms used when managing the auction including social accounts, document management sites, and the online auction platform. This ensures future administrators will have access to these platforms for managing additional events. 32auctions recommends creating a "master" account which isn't associated to an individual. The "master" account is then used for all online platforms. This is especially important for organizations which have rotating members like parent teacher organizations.